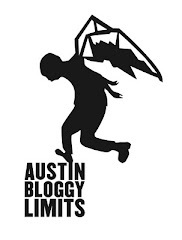 AustinBloggyLimits - An Austin Music Blog: Passion Pit/Harlem Shakes @ Emo's Tomorrow! Passion Pit and Harlem Shakes will be hitting Emo's outside stage tomorrow night. So far the weather report says we might get rain, but "Outside" at Emo's is mostly, somewhat covered anyway. Just don't wear nice kicks, but that's always good advice at Emo's. The show is sold-out but there isn't as much buzz and excitement in town as I had expected there to be. I suppose it's just another Wednesday night in Austin right? I wonder if people will clap/dance, I expect it will be like the Cut Copy show I saw at Emo's: hot, loud, sweaty and full of gay men and their hipster-chick lady friends. All in all a good time will be had by most, you can't please everybody even if you're Passion Pit. Free Harlem Shakes Mp3 courtesy of Harlem Shakes.Com, thanks. I always buy concert tickets in pairs and so I ended up with a spare P. Pit ticket, which I tried to trade for an Animal Collective ticket, to no avail. In my brain I was like, "Hey, they're both sold-out shows, they're both P4k bands that people love for lots of the same reasons...ok some of the same reasons. They are equally valued." But apparently value is a much more fluid thing than I gave it credit for. Because in the eyes of Austin concert-goers they are not equally valued concert-experiences. Either that or no one buys tickets in pairs. Negative Nelly at work said no one would make the trade and that no one else buys tickets in pairs? *shrug* I will get into that damn sold-out Animal Collective show, oh yes I will. Even if it means bartering Grizzly Bear or St. Vincent tickets. Oh yeah, so Wednesday night before Passion P. goes on, Harlem Shakes are gonna kick out some jams. I just bought their new album, Technicolor Health and I really like it. I'm almost more excited for Harlem Shakes than I am for Passion Pit simply because it's going to be so much easier for PP to mess up their sound. A relatively new band touring behind lots of songs that are sung in Falsetto? We shall see. Did I mention that Cale Parks is starting the whole thing off? If I know Emo's that means you can expect Mr. Parks on stage around 10:15ish? I don't know a heck of a lot about Cale Parks but I did find these handy Mp3's courtesy of Polyviny Record Co., thanks. Not to mention this video, thanks Cale and Polyvinyl. By the way, I just noticed someone is trying to trade a Passion Pit for a Grizzly Bear do I detect a hot new trend? How about we all put all of our tickets in a big bag and you get to blindly grab as out as many as you put in?!? Who's down? No? Too risky? Don't want to get caught at a less-cool show? Hand over the damn Animal Collective ticket mofo! Sorry 'bout that. You know how it is.